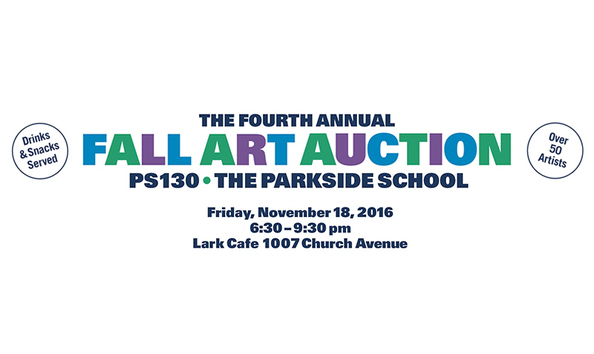 For the fourth year in a row, the Fall Art Auction will bring local artists and the PS 130 community together. It is not only one of PS 130’s biggest fundraisers, but also a fun way for families to socialize (without the kids!) while bidding on wonderful works of art. This year, thanks to the generous donations of more than 50 artists of all disciplines, we are hoping that this one-night event will raise much-needed funds to supply art materials for all classrooms. NOTE: Shipping, handling and insurance fees will be billed separately.